WiFi On Rail - Now Stream Music, Watch Videos Inside The Train! Indian Railways is all set to make train journeys more happening, and more entertaining. After empowering railway stations with WiFi, Indian Railways is now all set to introduce WiFi across trains. This means that rail passengers will be able to convert their boring, long journey into an exciting, entertaining one! But, how exactly will it work? 1 WiFi Inside The Train Now! 2 WiFi On Rail: How Will It Work? 3 Will The Service Be Free? 4 No LCD Screens and Headphones? WiFi Inside The Train Now! As per confirmed reports coming in, Indian Railways has approved the extension of Operation Swarn to premium trains such as Rajdhani, Shatabdi Express and Duronto Express. Under Operation Swarn, Delhi-Kathgodam Express was powered with WiFi hotspots, and proved to be very successful. WiFi On Rail: How Will It Work? As per incoming reports, Railways will install WiFi hotspots inside the trains, and passengers can directly connect with them. Will The Service Be Free? No LCD Screens and Headphones? 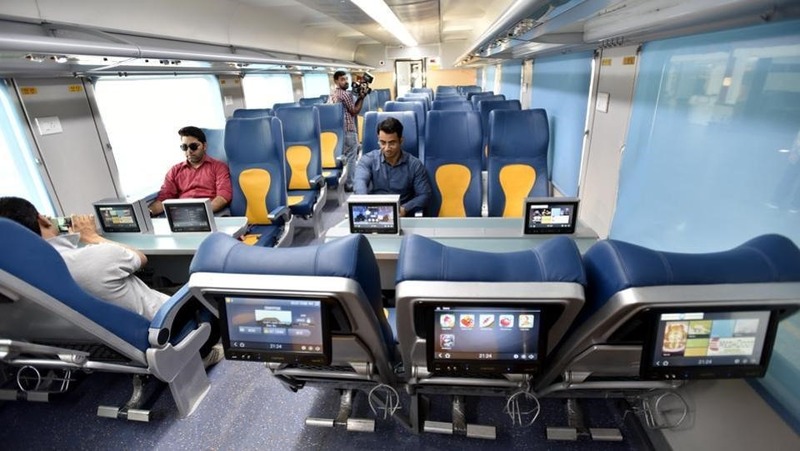 Last year, Indian Railways had launched the ultra-luxurious Tejas Express, which was empowered with LCD Screens, headphones etc. "WiFi On Rail - Stream Music, Watch Videos Right Inside The Train With WiFi Hotspots! ", 5 out of 5 based on 1 ratings. 57% Employees Earn Less Than Rs 10,000/month; Average Monthly Income Is Rs 13,562!